Jinling Lu – a second chance? A row of arcade houses, or qilou, in Huangpu District that was slated for demolition has been granted a reprieve following an appeal from a local expert and members of the public. The three- and four-story properties were built between 1912 and 1929 by immigrants from south China’s Guangdong Province. The ground floors were used as shops and the upper floors as living accommodation. As recently as the 1980s, the arcade, which is about a kilometer long, was a thriving retail area and home to several famous brands. In more recent years, however, its fortunes have dwindled, stores have closed and many of the buildings have fallen into disrepair. As a result, in December it was earmarked for demolition to make way for a new housing development. Now, however, “the arcade buildings will be protected and renovated to showcase them to the public,” the district government’s construction committee said in a statement. 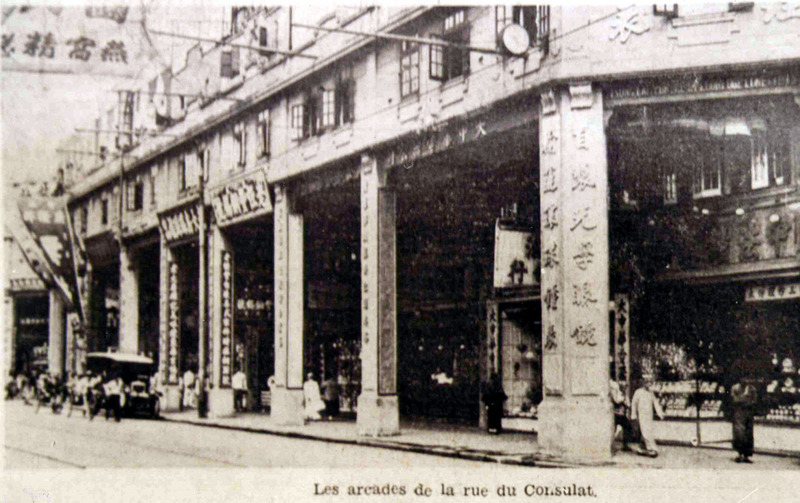 The change of policy came as a result of an online appeal from Lou Chenghao, who works for the Shanghai Shikumen Culture Research Center and who described the arcade as a “unique feature” of the city’s architectural heritage. Many Internet users supported his appeal and the district government was swayed. Chen Lunwu, from demolition firm Shanghai Tongsheng, which is in charge of the redevelopment, confirmed that the arcade will be spared. A man who runs a store in the arcade told Shanghai Daily that most of his neighbors moved out years ago, and that the only residents now are migrant workers and the elderly. “The kitchens and bathrooms are communal, which is quite inconvenient when you want to take a bath in the hot weather,” he said.